Seeds or plays on your headquarters, outpost, or site. 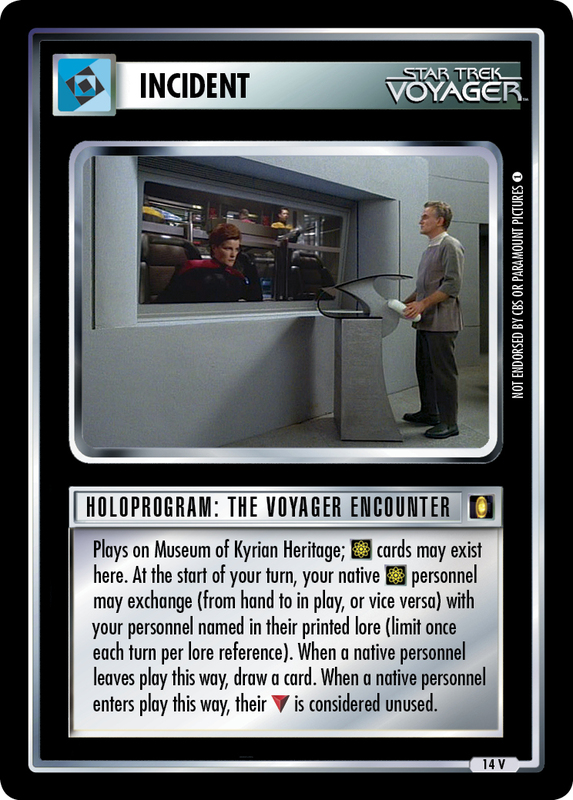 In place of a card draw, you may download a CIVILIAN to hand OR a genetically enhanced personnel to your Karen Loews. If present with Julian Bashir, your Jack, Lauren, Sarina, and any Patrick may use their classication as if it were ENGINEER-, MEDICAL-, SCIENCE-, or VIP-classification. 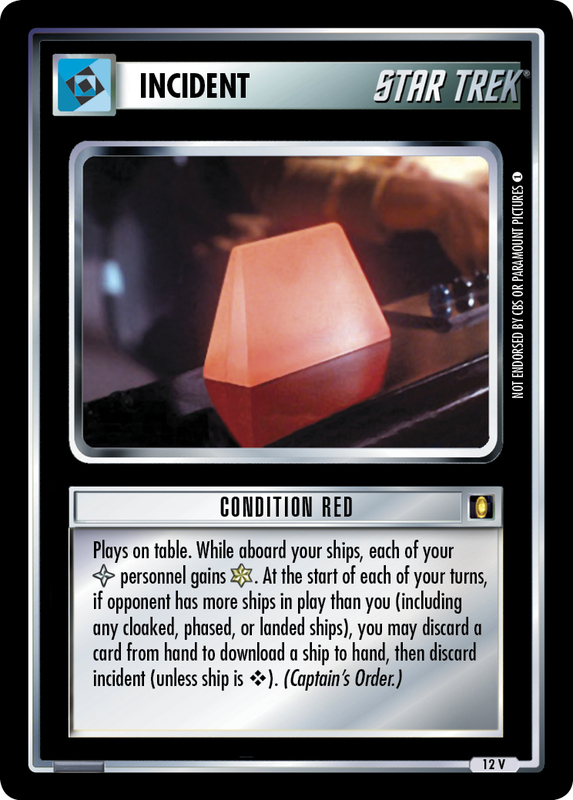 Image Source: Deep Space Nine: "Statistical Probabilities"